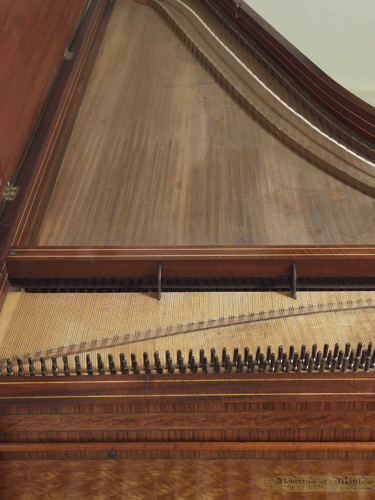 and a 5½ octave keyboard (first used on Broadwood’s pianos in 1790). is raised on a carefully replicated trestle stand. Two pedals control una corda, and dampers. important maker; it has been carefully restored from a well preserved example.